DeGarmo’s ride has been one for the ages. His life has been filled with broken strings, changed keys, and a drive to keep rocking through it all. Step out of the audience and into Eddie’s personal walk with God. You will be inspired, filled with laughter, and challenged in your faith along the way. 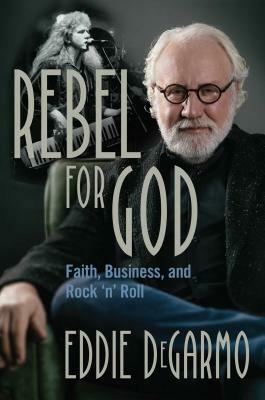 Eddie DeGarmo has sold millions of records as an artist in a genre he helped to invent, millions as a record label executive and entrepreneur, and impacted hundreds of millions of people as a music publisher. He started mixing his newfound teenaged faith with rock and roll, the only music that felt natural to him, long before religious folks were ready for drums and amps. His band, DeGarmo & Key, slogged it out on the road for years, taking arrows from both the sanctified and the secular before breaking through as one of the most successful bands of the genre. Later he introduced multi-platinum and Grammy Award winning band dcTalk, and many others, to the world through his label Forefront Records. He was then recruited to lead the largest faith based music publisher Capitol CMG Publishing. Under his supervision that company went on to change the face of “Modern Worship” music. He with DeGarmo and Key was inducted into the Gospel Music Hall of Fame on the same day as his Memphis hometown hero, Johnny Cash. Eddie and Susan enjoy their kids and grandkids in Nashville, TN. The first Christian music group to appear on MTV, they were nominated for seven Grammy Awards and 17 Dove Awards, received the ASCAP Vision Award at the 29th Annual ASCAP Christian Music Awards, and was inducted into the Gospel Music Association's Hall of Fame in January, 2011. Dana Key died unexpectedly on June 6, 2010. This book is a legacy to Dana as much as it is Eddie's story.